This is truly an art quilt, because of its size. 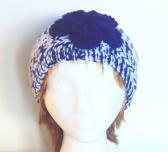 It measures 11.5 inches (29.25 cm) wide by 13.5 inches (34.25 cm) tall. This quilt is entirely handmade and is my original design. 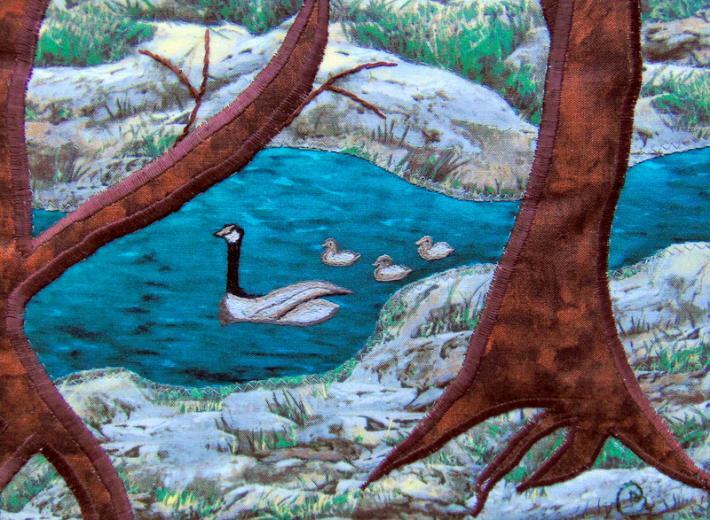 It features a goose and her goslings, which are hand embroidered, floating down a river. 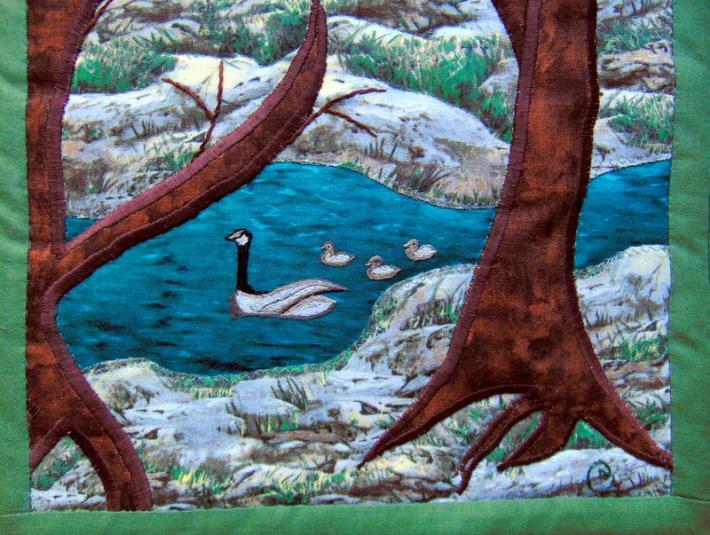 Because of the picture on this quilt, I simply couldn't resist naming it Mother Goose! 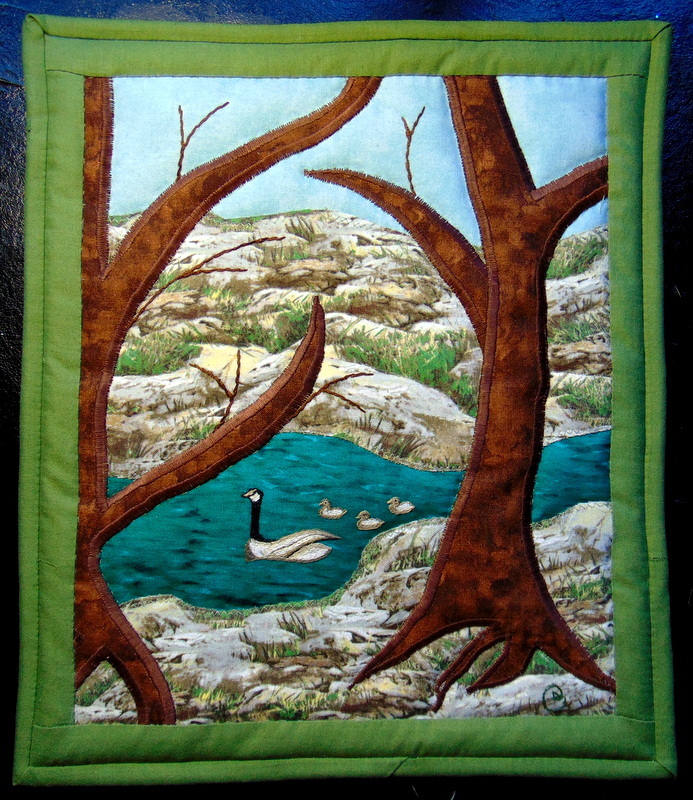 I hand quilted it using sage green quilting thread to bring up the patterns and textures throughout the quilt. I does have a sleeve for hanging. 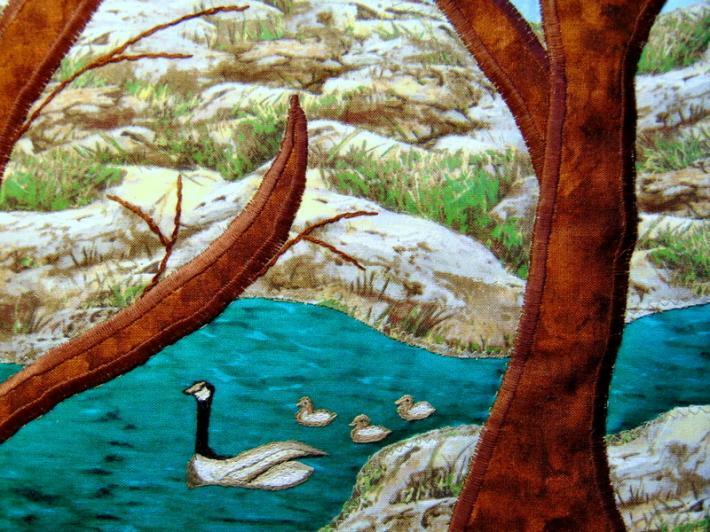 Because of its diminuitive size, this art quilt will fit nicely anywhere! The quilt consists of cotton and cotton blend materials on medium loft polyester/Dacron blend batting. 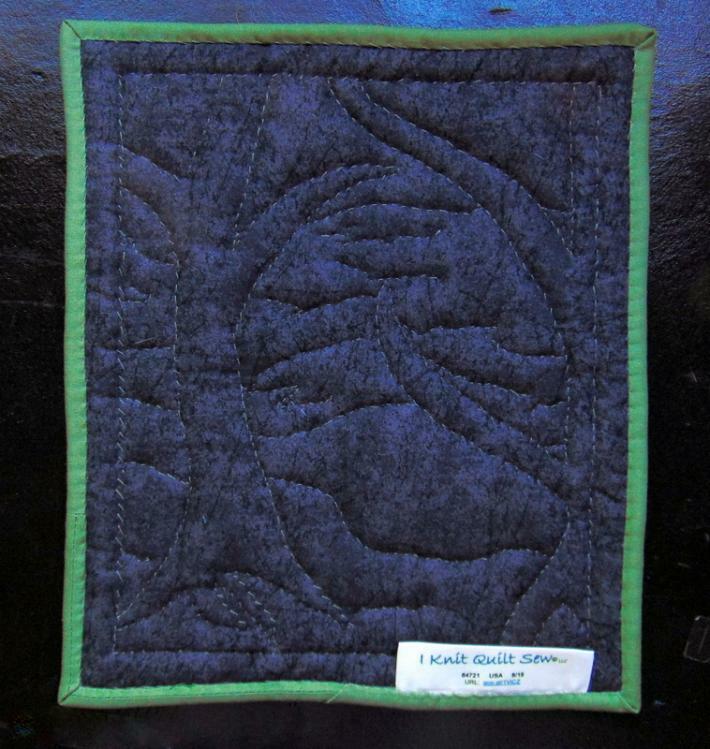 This quilt can be hand washed. It should be dried flat or hung to dry. All of the design, construction, embroidery, quilting and binding was done by me. It is tagged, labeled, signed and dated.